Home » Can Electric Bikes Go Uphill? Can electric bikes go uphill? Yes, they can, and it will be much easier than if you were on a traditional bike. The only time it may be a problem is if the battery runs out. You will still be able to cycle the bike uphill, but it will be a bit of a slog. There are two main types of electric bikes. The first is throttle-equipped and it is a bit like a motorbike. On these e-bikes, you can just twist the throttle and hope the bike carries you to the top, which it will do on all but the steepest of gradients. The main style of electric bike, and possibly the only one that is legal in your area, is the pedelec. A pedelec, given its full title, will explain precisely what a pedelec is: PEDal ELEctric Cycle. It is a bike that is operated by both pedals and electricity. The electrical part is generally a motor and a battery that can be used to assist your pedaling. To be considered the same as an ordinary bicycle and not as a motorbike, this assistance will generally top out at 16mph (25km/h). That is why a pedelec is actually very useful for going uphill. As we ride a bike uphill, our speeds drop compared to riding along flat ground. The average speed for a cyclist on a hill with a 5% gradient is 9.5mph, and for a pro cyclist, it is given as 15mph. In both of these examples, a pedelec will make that speed a little easier to achieve, and the motor will still assist you. 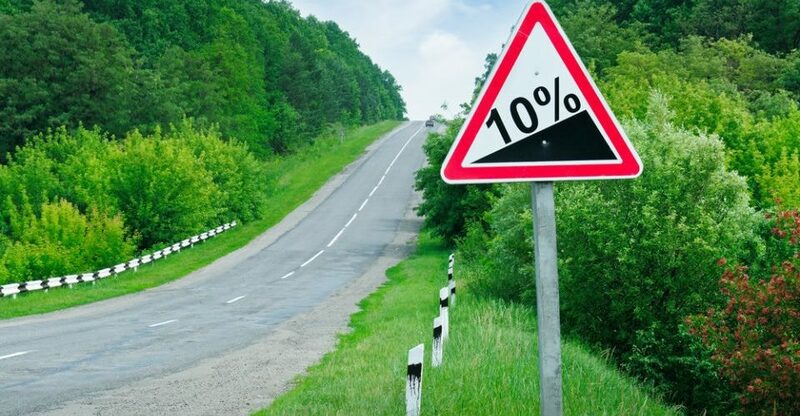 If we jump up to an 8% gradient, then your average cyclist will be riding at around 7mph. Our pro though, while looking resplendent in their Lycra, will be doing 12mph. The pedelec could then make either pro or amateur cyclists faster for the same effort as on a standard bike. A pedelec can also save you some energy if you go at the same speed. If you are out on a big ride, saving that energy could help you get back home, even if you have the electric motor on for the whole ride. For some people, that may be considered cheating; I would consider it to be riding smarter. We have yet to cover pedelec settings. You can pick a setting on many electric bikes. The setting may conserve battery power, or it may decimate, it so you may have to choose wisely. The first setting you will have on many pedelecs is for the motor to be off. You will then be riding your pedelec as if it was a regular bike. The main difference between your pedelec at this setting and a standard bike is that a pedelec will weigh more. You will have to move that extra weight around by yourself with no assistance. That could be a great piece of resistance training if you want to avoid the gym. It is probably not as great a setting to be using if you purchased an e-bike to help you as you get older or if you are using it as rehabilitation from an injury. Then you will want to be using the power settings that your e-bike has. There will usually be a low setting. The low setting would be good for the pro on our hills as they would only be needing a little gain. Any more than a small gain and they would be the point of having the motor switch off. On a side note here it is possible to get e-bike motors tuned to get more speed from them. Doing this may be illegal where you live, so always check if you plan to try it. There will always be times when you’re tempted to use the setting marked “Turbo” or something similar. It will be your highest setting, and it will have you sailing up climbs. While it makes it easier on those climbs, it will also deplete your battery life. The idea of cresting all your local climbs fairly easily at 15mph may sound great, but it could be easy to get carried away, and you could find yourself trying to get up those climbs to get home with little to no battery left. If that happens, you may very quickly lose the love for your new e-bike. To avoid this, plan out your routes. Look where you are going and work out where you will need to use extra battery power. It is always worth backloading your use of battery power so that it is still there at the end of a route. You never know how you may feel by then. Your pedelic will not only help you climb, it will also help to defeat the scourge of other cyclists in the headwind. Headwinds are the worst and can ruin any day out. They just make you feel particularly useless and wish that you had stayed on the sofa that day. The worst time to get a headwind battering you is when you are struggling on a climb. Honestly, small and steep slopes with a headwind can make you get off the bike, throw it in a bin, and never ride a bike again. If you get in this situation on your pedelec, hit that button marked “Turbo” and laugh at the conditions. You will feel sorry for the other cyclists out on the road, but at least you will be having fun and enjoying your time out. The answer then is a most definite yes to “can e-bikes go uphill?” They can make climbs fun, a sentence I never thought I would type out. They can get you out on days you may have stayed in and watched TV. People might call this cheating, but at the end of the day, you are only being assisted. You still have to turn the pedals.